Do you have a child entering Kindergarten or Preschool in Nevada County? Step Up to Kindergarten/Preschool applications are open! Fill out the application below for the program running July 8-26, 9am-12pm, Monday-Friday. This popular program is FREE for all Nevada County residents and fills up quickly. Apply today to be a part of our 7th summer! This summer, there will be six classes at four different schools but children enrolling in any Kindergarten class in the county are eligible to enroll. Each class has up to fifteen children and each has an experienced Kindergarten teacher and an aide and takes place in a Kindergarten classroom. Each day begins at 9:00 and ends at noon and includes the kinds of activities typical of a Kindergarten class – circle time, story time, small group work time, calendar time, choice time, snack time, playground time. Also incorporated are the first six lessons of the social-emotional curriculum, Second Step, which focus on “learning skills” such as listening, focusing attention, using self-talk to help in following directions and asking for what you need. This evidence-based curriculum uses puppets and is very popular with the kids. Last year, we were excited to add a component from a recently-released study which showed a positive impact on children’s executive functioning in a 15-day summer Kindergarten readiness camp like ours. It involves 20 minutes a day of simple games called “Red Light, Purple Light” that involve inhibiting automatic reactions in order to follow directions. The literature tells us that executive functioning is the number one indicator of later school success – and we found significant growth in children’s executive functioning from the beginning to the end of the three-week camp. 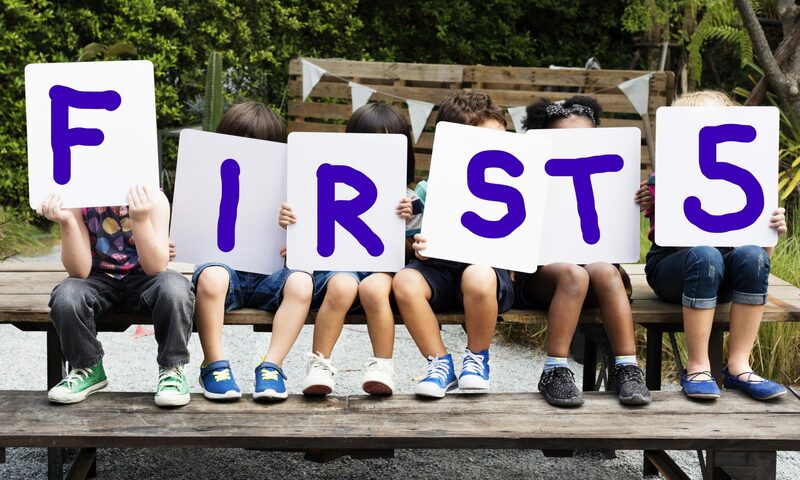 Children who participated in Step Up last year also showed growth on the school readiness skills measured by the Kindergarten Student Entrance Profile (KSEP). All in three weeks’ time – young children have an amazing capacity to learn and grow! Children going into Kindergarten have a wide range of skills and abilities; children at all developmental levels have enjoyed the program and gotten something from it. And everyone gets a chance to make some new friends in a smaller setting before that big, first day of real school! If you have questions about the program or would like to talk to us to figure out if the program might be right for your child, please call and talk with Lindsay or Sandi at 530-274-5361. In 2012 and again in 2014, First 5 Nevada County surveyed local Kindergarten teachers about the needs they saw – what they wish children had more experience with before starting Kindergarten. Sixty-six percent of current Nevada County Kindergarten teachers responded to the survey. At the top of teachers’ priority list? Social-emotional development. Teachers would like to see children who can use self-control, have the ability to calm themselves down, to wait for something they want, to bounce back after a difficulty. Next on the list is experience with getting along in a group – children who know how to sit at circle time, wait for a turn, form a line, raise their hand to be called on, and follow along with group activities. Teachers would also like to see children have more experience with being read to and learning songs, rhymes and finger plays such as Five Little Monkeys. Academics make the teachers’ list only after these more basic skills – skills that will enable them to participate in class and learn, to avoid being a disruption. The academic skills teachers would like to see are early literacy skills (such as recognizing some letters, knowing the sounds some letters make, being able to rhyme words, and starting to write their names) and early numeracy skills (such as sorting and matching items, recognizing patterns and shapes). In response to these survey findings, First 5 Nevada County developed the Step Up to Kindergarten program. Step Up to Kindergarten is a free program to help get children ready for the big step into school. The three-week Kindergarten camp is designed to address teachers’ priorities and help all Nevada County children be ready for school. Our children are our future: and the very architecture of their brains is being built each day of their young lives. Ninety percent of lifetime brain development takes place by a child’s sixth birthday — so early investments pay off. Gov. Newsom has embraced the science of early childhood development in his proposed budget, which includes $2.4 billion in early childhood investments, including significant funding for health care, home visiting programs, early developmental screening, high-quality early learning and paid family leave. California has the highest child poverty rate in the nation. You read that right. The great state of California, sixth largest economy in the world, home of Silicon Valley and 144 billionaires, has a larger percentage of children living below the federal poverty level than any other state, more than 1 in 5 children (23 percent). And though children in Nevada County fare better, with about 15 percent living below the federal poverty level, a decade ago that number was 9 percent. For context, the federal poverty level for a family of four was $25,100 in 2018 which is about one-third of the self-sufficiency standard for a family of four in Nevada County. Additionally, about 1 in 4 Nevada County children live in food-insecure households, where they cannot count on having enough to eat. Poverty and food insecurity take a toll on child development and compromise our future. Nevada County is home to about 4,500 children birth through age five and each one of them is a local treasure! Birth rates are declining; here in Nevada County, we have the oldest average citizens of any of the 58 counties in California. Here, only about 23 percent of households have children, compared with 37 percent of households in California overall. Today’s children are tomorrow’s workforce, volunteers, civic leaders, home buyers. With Gov. Newsom’s proposed investment, we can begin to make sure that each one of them is equipped to contribute to making Nevada County a wonderful place to live in the future. Lindsay Dunckel, PhD, is the executive director of First 5 Nevada County.